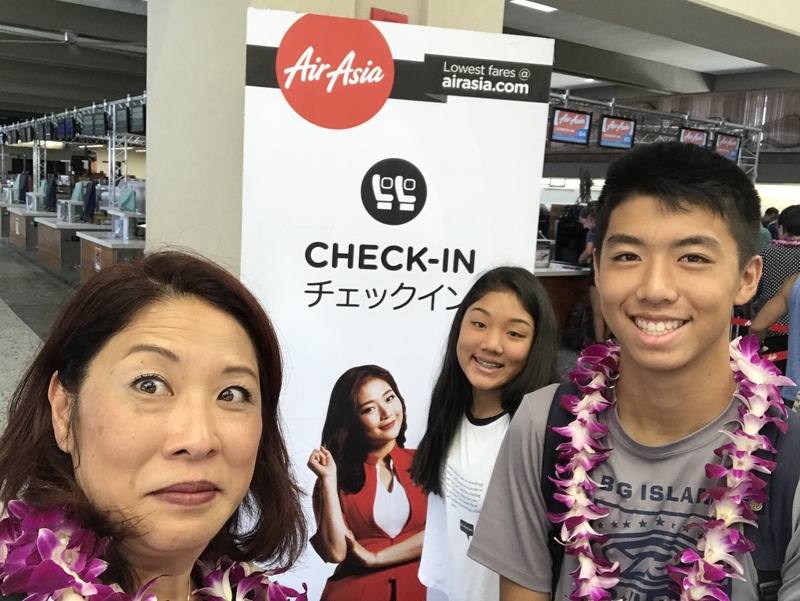 Did you hear about the AirAsia airfare sale from Honolulu to Osaka for $99? I did and I got caught up in the frenzy of trying to get to Japan for $99 each way. 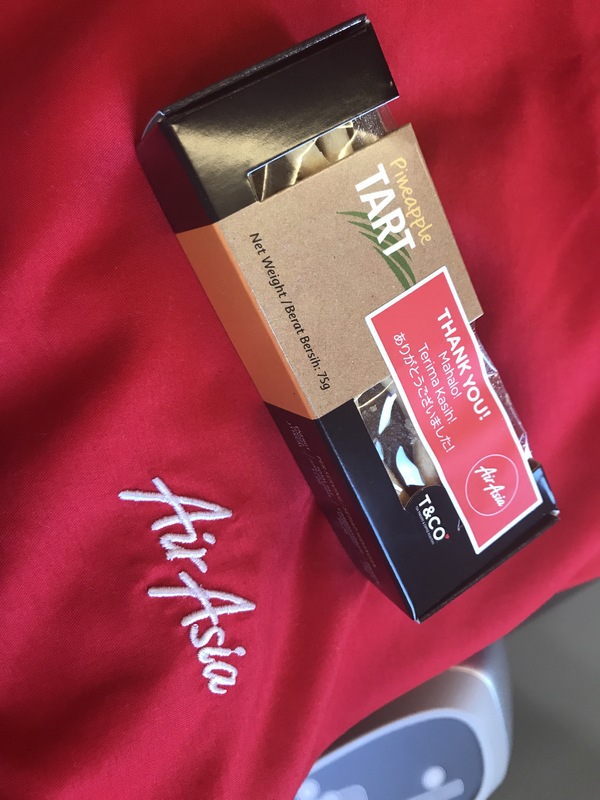 I had never heard of AirAsia before but I didn’t want to lose the chance to go to Japan for such a great fare. I shared the information with a bunch of friends and a couple of them also took advantage of the great fare. AirAsia is a budget/ala carte type airline and you pay for each add-on you want. That means that there are charges if you want to select your seats, have a meal, use a blanket, etc. 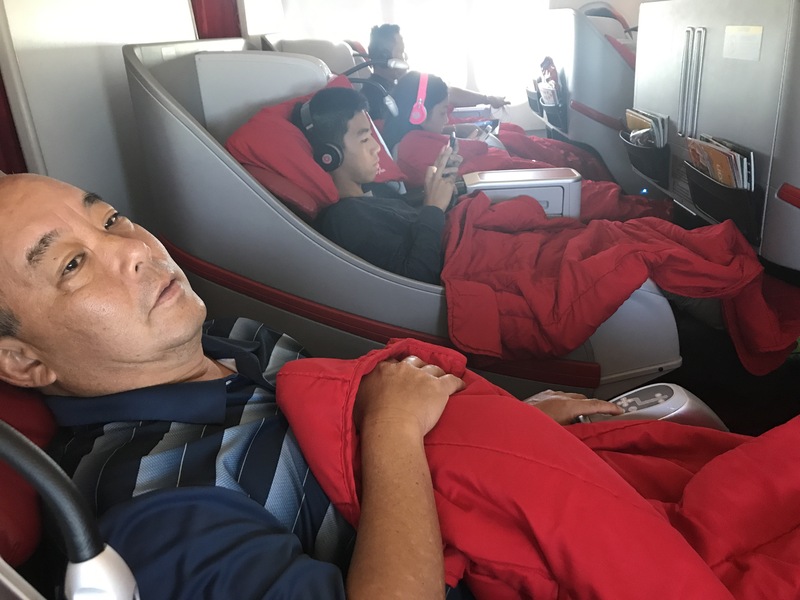 We upgraded our seats to the lie-flat option going to Japan and the extra-legroom option coming back from Japan. We ultimately paid a bit more than the $99 advertised fare but for the added comfort, I think it was worth it. 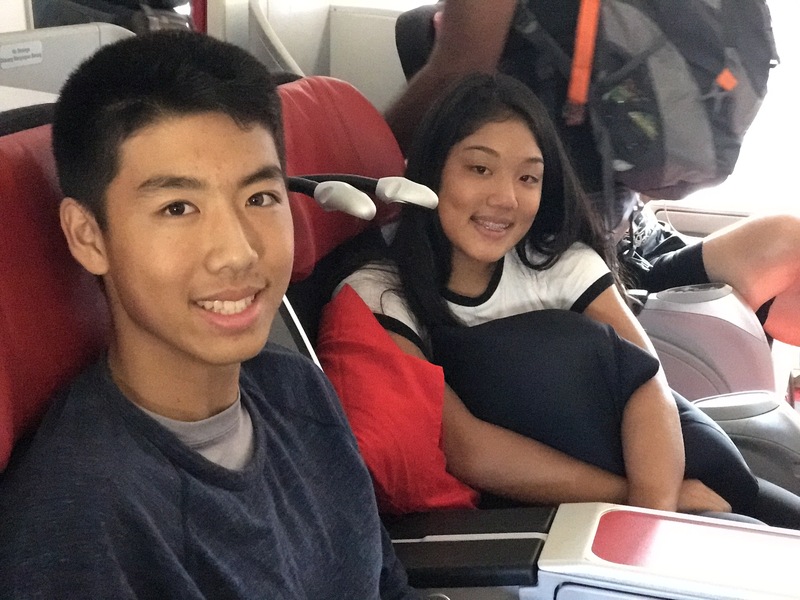 The Honolulu to Osaka leg was on their inaugural flight and I had high hopes of some extra amenities or entertainment for the passengers. It turned out to be a slightly disappointing experience. The check-in process was horrible. I think it was a result of being the first day and so there was a very steep learning curve for the employees. In fact, the process took so long, the flight ended up being delayed so that they could get everyone on the flight. The food quality was mediocre at best, but service was excellent. The flight attendants were professional and attentive. However, do not expect free meals and drinks. In addition, outside food is not allowed on board. I’m not sure how appropriate this rule is since the flight is over nine hours long. I did see others bringing food on board including bentos from Zippys with no problems. At least we were very comfortable in our lie-flat seats and the flight went by very quickly and before we knew it, we landed in Osaka! Blog posts about our Osaka trip coming up. Stay tuned. 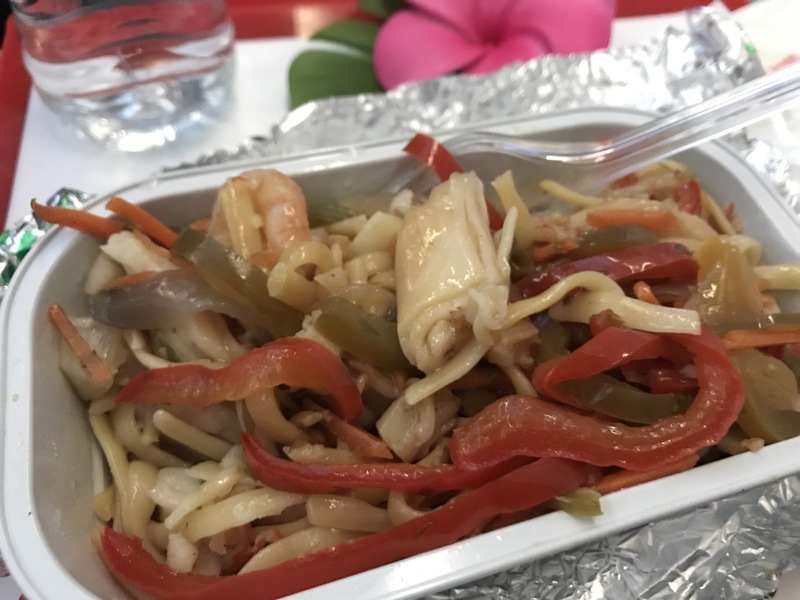 Living Hilo Style on Air Asia. Came across your blog when I typed in AirAsia reviews. So glad I read it. 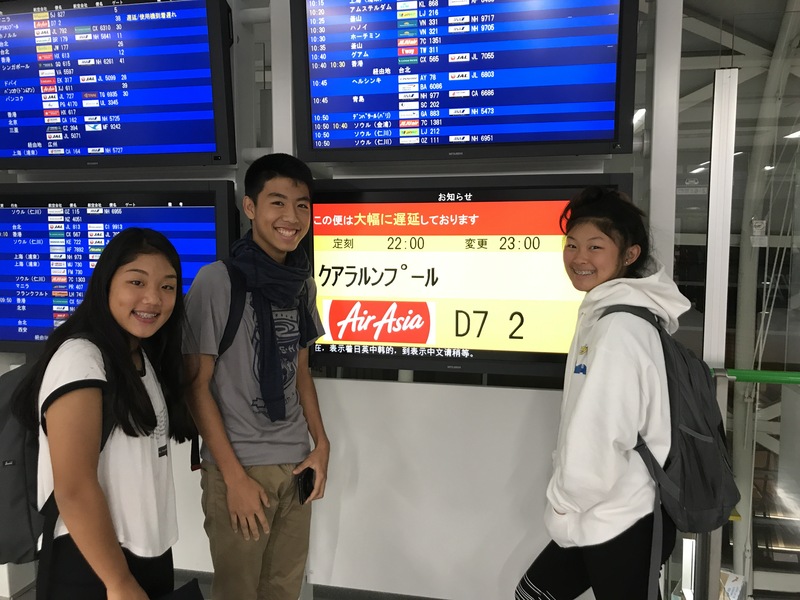 We’re going to Osaka in June and wanted to see how AirAsia was before we booked our flights. (Not $99 any more but still way cheaper than other airlines). Do you have any more advice or comments about this airline? P.S. I’m a new blogger (3 months, and live on the Big Island too). Thanks for reading the Living Hilo Style blog. I’ll check yours out too. If you are flying from the Big Island, then be sure to add in your interisland airfare to the total cost of your rt fare+expenses. It might not end up being as cheap as you were expecting. Plus, you have to add the cost of seat choice, meals, and baggage cost. You have to know how many bags you will be checking in since you pay per bag and I think I recall that it was significantly cheaper to pay for the bag ahead of time rather than at the airport. We ended up upgrading our seats to the lie-flat ones so I can’t give feedback on the experience of sitting in the smaller seats. The seats were comfy but it is a budget airline so the service was less than what one would expect for the upgrade. Unless the airfare was really, really great, I’d still choose to go with Hawaiian Airlines or other non-budget airlines for the peace of mind and less stress. Have fun in Osaka!